1. 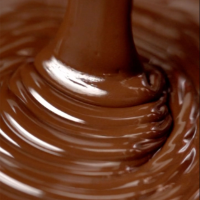 Bring the cream to the boil in a small saucepan, remove from the heat and whisk in the chocolate until melted. 2. Serve immediately, or keep refrigerated for up to one week.